Located in the high rolling hills of central Wisconsin, Resolute Farms Racing is a small breeding and training facility dedicated to producing and nurturing the finest performance Arabians and Anglo-Arabians for discriminating riders who wish to excel in the sports of Endurance, Dressage, Eventing, Competitive Trail, or Racing. Summer is finally here. Hurray! At least this past winter allowed for intermittent riding and some dressage training, unlike the previous winter which allowed for...nothing but snow, cold and more COLD! Now I'd like to say we at Resolute were going to be back on the endurance trails this year riding our wonderful horses full steam ahead, but realistically, that's probably not going to happen. Jason has a brand new job, Katie is in the midst of creating a new sibling for sweet little Sadie and I am both working and taking care of the farm, so time to train like we are used to is just not available to any of us. 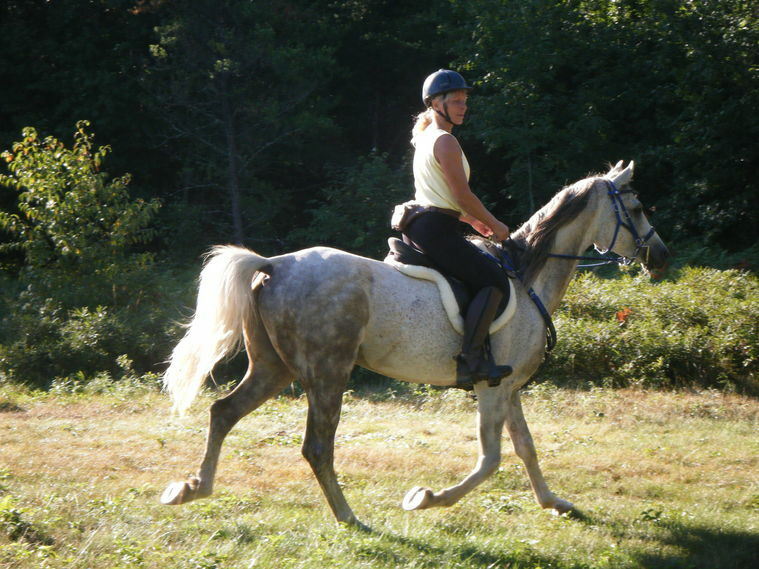 Regardless,​​​​ however, we do intend to ride in a few of our favorite rides and volunteer at a few more, especially since we're anxious to introduce a couple of the youngsters (read that, "awesome Ajax" and maybe "lovely Lovey") to the fun of racing...er, I mean endurance riding on those relaxing, beautiful trails... Ajax (an Anglo-Arabian) has inherited his sire Crescent's spectacular conformation, heart, and people-loving personality and is obviously destined to become a great performance competitor at... you name it, endurance, hunting, competitive trail or eventing, take your pick! Even our multi-talented friend, Malinda Z. (remember when she and her blind mare won the novice championship?) says she just loves his conformation, his size, and his great attitude... and since she is a confirmed Warmblood person, that's saying a lot. ​​Some of our other kids are doing just super with their owners, RFR Polaris on the west coast with Terry Jones, RFR Rain Buoy on the east coast (both in endurance), RFR The Quietman (aka "Duke") showing in Cowboy Dressage and Trail with Crystal Short here in Wisconsin, RFR Crimson Crescent (aka "CC") with Stephanie, and RFR Icebaby (aka "Nilla" also here in Wisconsin) with Ainsley who just purchased her as a new FEI prospect and recently completed her first 25 miler. 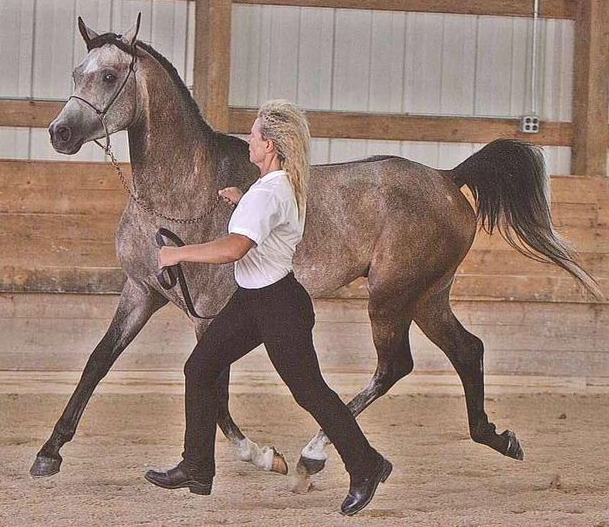 The Resolute Farms broodmares acquired by Barb Gardner, both produced beautiful Appaloosa cross foals for their endurance program. We look forward to hearing much more about them in the future. RFR The Highwayman, or "H" as he's known around the barn, an incredible Wiking X Statistic cross, was gelded a few weeks ago despite his incomparable bloodlines and loving personality. Given the current environment for stallions, it may enhance his future career as a performance horse. 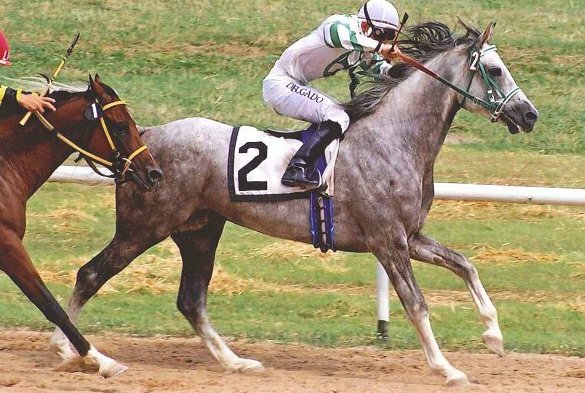 He closely resembles his half-brother RFR Polaris, but with even better movement (if that's possible) and an unbeatable, people-pleasing desire to learn. If you're looking for your next champion you should really consider this youngster. Better yet, we then produced the incomparable RFR The Iceman, who was ultimately assessed as having "even better overall conformation than Crescent" and like Crescent, he passes that wonderful, sound structure on to his offspring, but with the added bonus of chrome and those magnificent blue eyes inherited by many of his babies (even from a solid dark bay Thoroughbred mare! 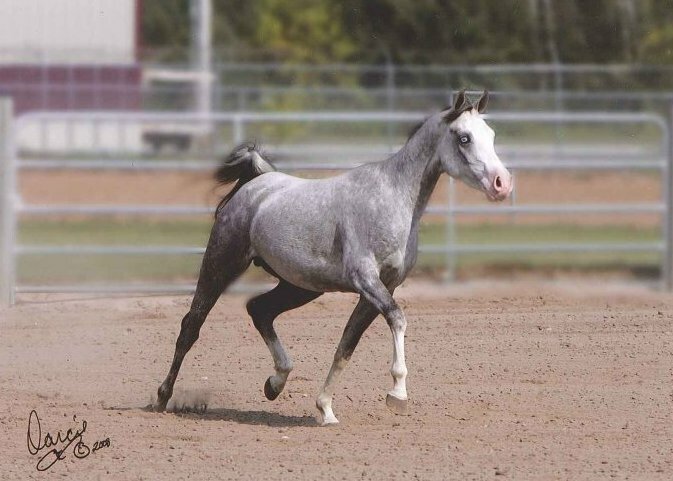 )​​​​​​ Of course, we also bred RFR Polar Star who sired both Crescent and Icey and he was a two-time Region X Sporthorse Champion ultimately exported to Canada to become the foundation stallion in a Russian Arabian breeding program. 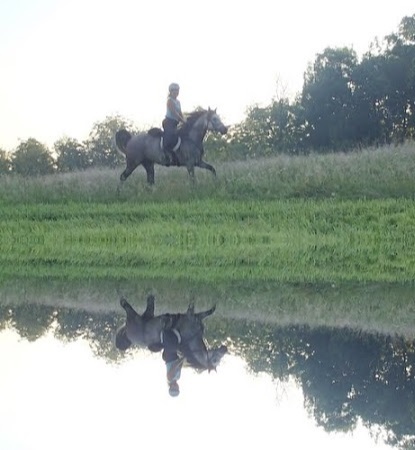 If you ever rode with Crescent or Iceman on an endurance trail (even if you and your mare didn't know they were stallions because, you know, when they're working, they're working and manners do count!) ​​and you admired their forward movement and desire to give the rider whatever they ask for... check out their daughters: Enduring Rain ("Daring"), Rein Daughter ("R.D. "), and RFR Aflame ("Lovey"). They are available to performance homes on very reasonable terms and each one demonstrates the warm loving personality and intelligence which allows them to make the most of the great conformation they inherited from performance bred, performance winning, sires and dams. They will be a dream to train, a true characteristic of Resolute Horses. We do hope to see many of our old friend on the trail this summer and we will definitely get out to volunteer at a couple of rides, one of the best ways to help keep the sport strong and meet new friends while doing something we enjoy. So until then, keep riding and see you on the trail! Check out our foals page for pictures of the new babies!